Le Center is always busy during the summer months at its municipal swimming pool, located on Highway 99 next to the County Fairgrounds. Our 6,600 sq.ft. pool features a high and low diving boards, a separate wading pool for toddlers, a concession stand and plenty of deck and grass space for everyone to enjoy. 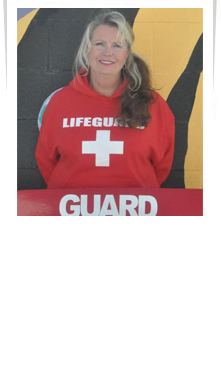 Our pool also offers American Red Cross certified lifeguards always on duty during listed pool hours. However, children under the age of six must be accompanied and supervised by an adult at all times. The Le Center Municipal Pool is OPEN for the 2018 Season the First week of June. Family ticket includes up to 4 children and 2 adults from the same household. Additional persons from same household will be $30.00 each to be added to family registration. If there is lightning in the area, the pool will be closed. Pool staff will wait 20 minutes after the last bolt of lightning to reopen. The pool will not open, if the air temperature is less than 67 degrees. If we are experiencing inclement weather, the pool will not open. An adult must accompany children under 8. Swim diapers are required in the tot and main pool. Do not bring valuables to the pool. No glass or metal containers are allowed in the swimming area. Lost and found items will be kept one week, then disposed of. The concession stand is open during open swim hours. Rent the Pool For Special Events and Parties! The Le Center Municipal Pool is available for rent. Call the office for open times. Lifeguards will be on staff, any food brought in must stay within the fenced in area. You may bring in your own food, beverages and approved pool toys.